My name is Herman Fung and I’m a former VSO volunteer in Malawi. In March 2014, I completed an 18-month voluntary placement where I worked with the Ministry of Health to build and implement Malawi’s first national, open source Human Resources Information System for the health sector, called iHRIS. iHRIS is a suite of web-based health workforce software and it is currently live in 19 countries, supporting over 700,000 health workers. Our project, iHRIS Malawi, was commissioned by the Ministry of Health in 2012, with support from VSO (funded by THET) and USAID. The objective was to replace a centralized Microsoft Access database, which became defunct partly due to difficulties in collecting HR data in paper form, from far away rural districts to the MoH Headquarters, in the capital city of Lilongwe. Other reasons for its demise include a lack of working computers and limited continual end user training, which was required due to the generally low levels of computer literacy compounded by a very high turnover of staff. A total of six volunteers were recruited from the UK and we teamed up with four Malawian colleagues. We regularly received vital help from the Global iHRIS Community, which is a critical part of iHRIS ecosystem and one of the key benefits of choosing iHRIS. As you might expect, there were many challenges of implementing a new system that impacts critical operations like Human Resources. A fair share of these challenges relate to ICT, but a large proportion were to do with people and processes, too. iHRIS is a web-based system and requires an Internet connection and power. When we first arrived and began working at the MoH Headquarters, we didn’t have enough sockets to plug our own laptops into. Scheduled electricity load-shedding and unplanned outages were a regular occurrence, and the MoH did not have its own generator. There were also regular water outages. We tried to use an Agile approach with regular feedback loops over many iterations. However, this proved difficult due to challenges with regular access to key people and resources. So we adapted to a more traditional Waterfall methodology, which was easier for our stakeholders to understand and actively participate. The software itself was relatively easy to set up because we had the required technical expertise in the form of analysts and developers, as well as support from iHRIS teams around the world. However, acquiring the hardware and infrastructure required to run it was a considerable task. The logistical challenge and cost behind this part cannot be underestimated. A 1024 kbps broadband Internet connection costs $850 USD per month, which we shared with other projects, and our server took 5 months to arrive due to a lengthy procurement and import process. Throughout the development process, we kept long term sustainability high on our agenda. We endeavored to train our Malawian colleagues and encourage them to take the lead as much as possible, which was a challenge – and also huge opportunity. One of the key lessons we learned was that the overall journey of delivering the project was just as valuable as the end product or system itself. Over the course of the project, we exchanged views and built trust amongst ourselves and with our stakeholders. We took on extra capacity building exercises outside of our project such as the overhaul of the communal Computer Room. Most importantly, we engaged in a two-way knowledge sharing process with a steep learning curve for everybody: volunteers, Malawians, developers, users and managers. We analyzed and mapped existing manual processes. Where they were broken, we questioned them, which prompted some remedial actions. We were adamant not to automate a broken process, which would have been counter-productive. 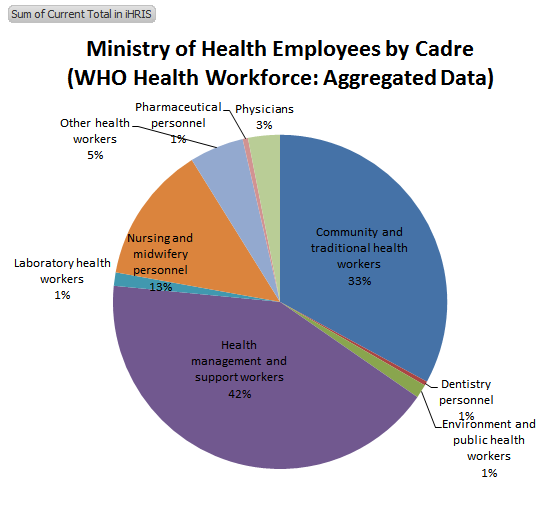 We had success in promoting the value of standardized data by setting up a regular User Forum, which mapped 300 different jobs into meaningful categories in WHO standard cadre groups. The district-by-district rollout of the system is ongoing. My colleagues still working on the project are running continual end user training workshops. They are also making improvements to the system based on stakeholder feedback before handing the project over to the MoH in March 2015. The valuable lesson I learned was the importance of gradual change. In our experience, evolution, not transformation, is the best approach to introduce an ICT system in Malawi. One thing i have learned after being in Malawi for 8 months is that the people are tech hungry but there are simply no enough facilities to get the Tech connection. Agreed! There is a huge shortage of facilities in Malawi. Some basic computer skills would go a long way to enable many organisations to be more efficient at administration. But the biggest opportunity in my opinion is with the next generation. If only they can have early exposure to the possibilities of how technology can improve their daily lives. News, education, commerce, productivity, publishing, Internet! As the kids I worked with showed, they don’t need much to start to learn. From having never seen a computer, to learning how to type… you can see the excitement and concentration on their face!